Get low pricing and great service with your next DOT Physical Exam at our convenient clinic located on 1st Street between Ditman and Townsend streets in Los Angeles, CA. Our office has been serving the East LA community for 26 years! This street front clinic is conveniently located on 1st. street between Ditman and Townsend. Serving East Los Angeles are for 26 years. There is ample parking in the rear of the building. Worried About Passing Your CDL Physical Exam? Dr. Rodriguez knows how important it is that you continue your livelihood as a commercial driver. We will take the extra steps to keep you on the road. With his extensive knowledge of the DOT Physical exam medical guidelines, Dr. Rodriguez will steer you through the DOT physical exam requirements so you can Keep on Truckin’. Not sure if your medical condition will affect your driving status? Just give us a call before your appointment. We are here to answer your questions. Whether you are just traveling thru Los Angeles, CA or one of our local drivers, we are here for you! If you’re looking for a DOT physical exam or CDL physical exam in Los Angeles, CA, you’ve come to the right place! Mon, Wed, Fri: 9:00am-12:00pm; Tues, Thur: 10:00am-7:00pm; Saturdays by appointment only. Doctor George G. Rodriguez has been practicing chiropractic for the past 32 years. 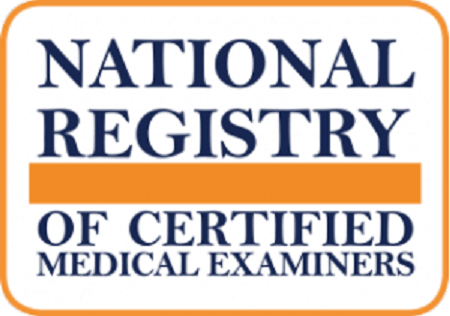 His focus has been General Chiropractic and now is happy to extend his services as a National Registry Medical Examiner providing DOT physicals for commercial truck drivers and bus drivers. His services also includes DOT Drug and Alcohol Testing testing site.